In his 2018 book, Crushing It, social media expert Gary Veynerchuk continues to stress the importance of Facebook for building a brand. He says, "...if you're going to build a personal brand and try to monetize it, you have to to have a Facebook page. Period." Facebook has close to two billion users, with nearly a billion of them using it every day. If you're business isn't on Facebook, you're missing out on opportunities. Facebook gives you several options for building a presence for your home business. Many home businesses started simply using their Facebook profiles to post information about their businesses, but since Facebook limits the number of friends to 5,000, it's better to have one of the other page options. This is especially true if you want to keep your personal page privacy settings set to limit who can see your posts. The Facebook page for your fans will help you to connect with your customers and clients in a more personal way. A Facebook page allows you to send updates about events, promotions, and other newsworthy happenings related to your business. You can interact with your customers and clients by starting discussions and within comments and photos that you post on Facebook. Having a page allows you to protect your profile page so you don't feel compelled to become Facebook friends with strangers and clients who you’d rather not know about your personal and family life. Like profile pages, you can post information (i.e. your blog, sales, etc), upload photos and videos, and more. Plus you can have a call-to-action button, such as "Contact Us." Through your Facebook pages, you can hold events. These events can be in real life, such as a direct sales party, or held online through Facebook. Setting up an event through Facebook gives you the opportunity to promote in advance, as well as to have conversations before, during and after the event with your followers. 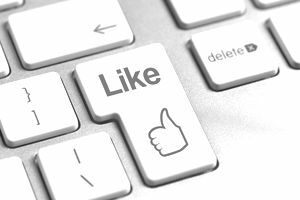 One of the downsides to a Facebook page is that just because someone has "Liked" your page, doesn't mean they'll see your page posts on their news feeds. The change that limited the number of people who saw page posts was an annoying blow to many businesses who use pages to connect with their market. Now, only some of your "fans" will see your post, and if you want more to see it, you can "Boost" a post, by paying. Your fans can go directly to your fan page to see what you're posting, however, since many people read their feeds or notifications, by not having your content show up there, limits the number of people that see your posts. While your "fans" can interact with you on your Facebook Business page, there are limitations, that a group page fixes. Essentially, a group page is like a forum or discussion board, where group members can ask and answer questions, comment, share information and more. Groups can be set up to open to anyone, or you can make them private. Many entrepreneurs run their private mastermind or special groups related to their business through Facebook. For example, if you have an ecourse, you can use a private Facebook group page for your students to ask questions or as a place for you to encourage them through the course. Anyone can create a group page, so they're not limited to businesses. Recently, Facebook has started encouraging Page owners to create a group connected to their page. However, depending on your goals, you can create a group page instead of a business page, or vice versa. The main difference between the to is that group pages are designed for greater interaction between group members. Group members can post on the group's feed, where as in a page, you can prevent people from posting on your page. Members of a group get notifications about new posts or comments, which can give you greater reach than a page. There are questions about whether or not Facebook groups can be found through search on Google. It's thought that public ones are, but perhaps private ones aren't. However, if someone is looking for a Facebook group, it would make more sense for them to search Facebook, not Google, and all groups are searchable on Facebook.